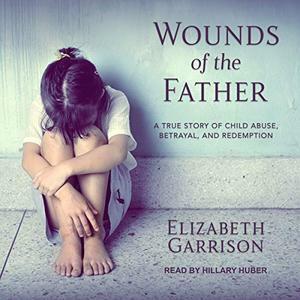 Wounds of the Father A True Story of Child Abuse, Betrayal, and Redemption [Audiobook] | Free eBooks Download - EBOOKEE! In the best-selling tradition of Smashed and The Glass Castle, this raw, eye-opening memoir tells the powerful story of Elizabeth Garrison's fractured childhood, descent into teenage drug addiction, and struggle to overcome nearly insurmountable odds. Elizabeth invites the listener behind the closed doors of a picture-perfect Christian family to reveal a dark, hidden world of child abuse, domestic violence, and chilling family secrets all performed in the name of God under the tyrannical rule of her father. No comments for "Wounds of the Father A True Story of Child Abuse, Betrayal, and Redemption [Audiobook]".